Across many years spent soaking up the atmosphere of the ecommerce world, I’ve seen large and small stores alike struggle with the same fundamental question: beyond sales revenue, how exactly do you measure the marketing progress you’re making? Everyone knows what marketing is for—and why it’s important—yet there’s a lot of ineffective marketing done every day. Worse, the companies responsible generally don’t even realize it isn’t getting them anywhere, so they continue to throw money at a lost cause. There are countless metrics that can be derived from ecommerce data, not only those that are picked up as standard, and many of them are next to useless in most cases. Monitoring junk data will just lead to you trying to find meaningful patterns in the noise. KPIs must be metrics that are meaningful and capable of being accurately monitored. Start by returning to your overall business goals and picking out the metrics that most strongly reflect your movement towards those goals. The most basic KPIs involve sales and revenue (such as return on investment (ROI) or cost per click (CPC)), but marketing can be a complex and slow-burn thing, and you need to break down every step of your extended sales funnel to see where it’s falling short. At a minimum, you need three conversion rate KPIs for that scenario (each one indicating how many CTAs were clicked versus how many were seen), and you’ll realistically need more to account for varying copy, audiences, and distribution times — and then there are deeper metrics to consider, as we’ll see next. Your overall business model will have well-established KPIs tying into your general financials. These will mostly pertain to ROI (your revenue compared to your expenditure), traffic, growth, and other such high-level elements. To be able to fully understand what’s happening, you’ll need to link up all your important metrics so you can see how they affect one another. Take each major KPI and match it to the relevant campaign KPIs. For traffic, look at KPIs such as ad click-through rates, search rankings, and pages indexed. For sales, look at conversion rates, promotional emails sent, etc. Then do the same thing to match your campaign KPIs with your content KPIs. Break down your average click-through rate into specific ads. See which promotional emails are performing well and which are not. Once you can break your global KPIs down until you arrive at your most fundamental content KPIs, you’ll be in a position to perform meaningful analysis. Whenever you see that a particular KPI isn’t at the level you want, you’ll have the option of getting increasingly granular until you discover the underlying reason. To efficiently track marketing KPIs, you’ll need appropriately configured analytics software. Google Analytics is the industry default — it’s both free and tremendously powerful, and you can add to that power with Google Tag Manager. Correctly configured, GTM makes it possible to create and update tags for particular KPIs without having to edit a page. If you’re looking for something more straightforward, options like Amplitude, Kissmetrics and Mixpanel are available to provide a more user-focused approach that makes it much simpler to pick out the important data without having to input a vast number of views, goals and events. Regardless of which analytics platform you use, you must ensure that every one of your KPIs is being tracked. 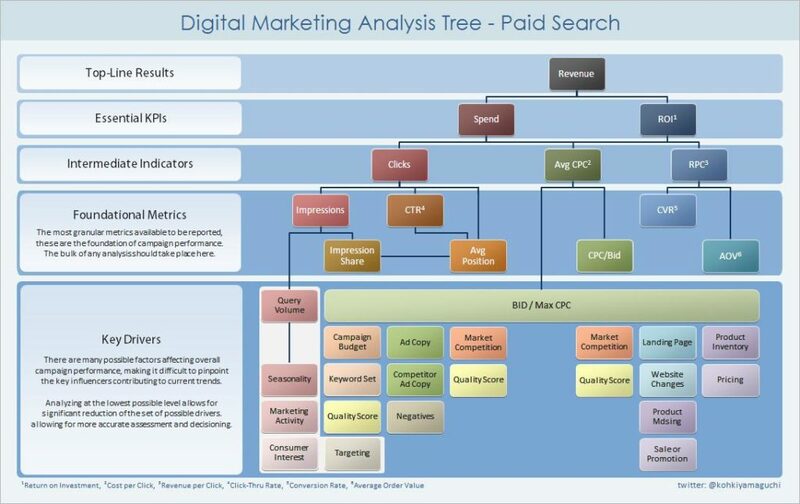 Any elements of your marketing campaign that don’t natively provide analytics data must be added manually. Consider an offline ad banner, for instance, or a radio spot. To tie them to your analytics system, use separate email addresses, links and/or telephone numbers that can be tied to the different channels, allowing you to segment the results accordingly. Once there’s data coming through to your analytics, enter your store’s internal records and confirm that it’s correct (if you can’t check every big metric, check a sample). You don’t want to take the risk of making decisions based on information that turns out to be the flawed result of a faulty setup. The larger your operation is, and the more KPIs you identify, the harder it will be to take an overarching view of how your marketing is going. That’s why having great reports is a vital part of the ongoing assessment process. You can look at everything in one view, allowing you to highlight overlaps and connections. Be mindful not to spend too much time on this, however. Break down your high-end KPIs to determine how regularly they are worth reporting on. Particularly if you have investors to keep happy, it is neither practical nor advisable to make a full report every week — instead, scale your efforts, going from brief weekly updates on selected KPIs to comprehensive quarterly reports, and then again to in-depth annual budget reviews. 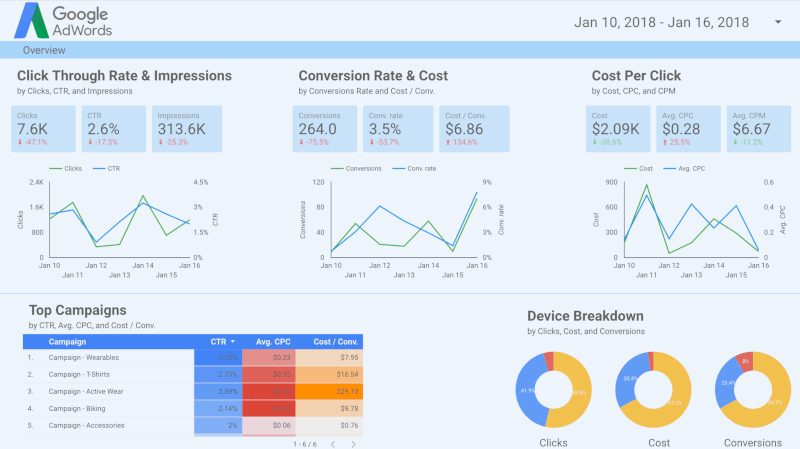 Google Data Studio has made great strides in recent years, and is now a formidable free option for pulling in data from a variety of sources and creating appealing and easy-to-read reports with numerous templates to make setup easier. Presenting results to management is rather easier with a straightforward report in hand. Internal reporting can also be viable if your store CMS offers something like that. Shopify’s add-on system lets you expand your DIY webstore with a free reporting dashboard that provides some context, and WooCommerce has countless options via WordPress extensions. While you can create manual reports, it certainly isn’t advisable to do so. Performance measurement is something that can easily be glossed over as time goes by, particularly if results seem steady, and you need the persistence of automated reports to keep the issue forefront in your mind. With your KPIs identified, tracked and collated, you’ll have all the performance information you need, but you need to know how to interpret it. I spoke earlier of finding meaningful patterns in the noise because we’re biologically wired to hunt for patterns, and we can easily read too much into the data we’re reviewing. Think about bounce rate, for example. A high bounce rate can be a bad sign or a good sign depending on the context. For an in-depth page with a lengthy narrative, it’s very bad. For a glossary page, it might be very good. It’s the difference between leaving because you don’t like what you’ve found and leaving because you’ve already got what you needed. Then there are fluctuations that result from things entirely beyond your control. Sales peak for particular industry niches at certain times of the year, and KPIs will waver by as much as a few percentage points for no meaningful reason at all. If you don’t take this into account, you’ll end up seeing every slight drop as a campaign failure, and every modest rise as a sign that you’re moving in the right direction. Something that smart retail businesses are doing increasingly commonly is looking past the unpredictable short-term KPIs to focus more on long-term compounding efforts. 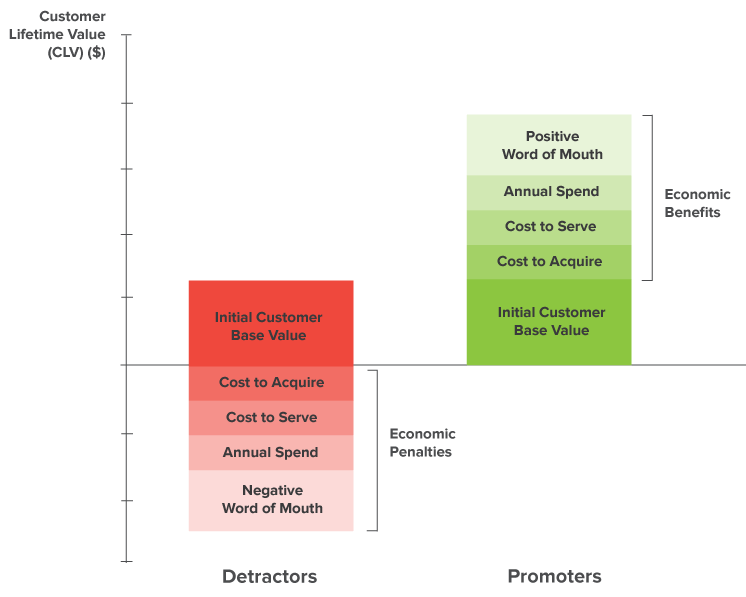 Consider metrics such as Customer Lifetime Value (CLV), which predicts how much profit a particular customer will make your business through the duration of their time buying from you, and Net Promoter Score (NPS), an index that reflects how likely your customers are to serve as brand promoters or detractors. These complex KPIs may be harder to calculate, but they’re also more reliably meaningful. As times goes by, the holistic approach to customer/retailer relationships stands to save a lot of time wasted on trivial metrics and help you run marketing campaigns that incrementally become more cost-effective. Filter out all the unimportant vanity metrics and the external variables, focus solely on the things you can consistently influence, and take a high-level view of customer satisfaction — only then can you usefully gauge marketing performance, and thereby account for several of the foundational attributes of a successful campaign. Victoria Greene is an ecommerce marketing expert and freelance writer who loves getting granular with analytics. You can read more of her work at her blog Victoria Ecommerce. How do you determine the KPIs when you’re in the very early stage of your ecommerce store and just starting to scale up?